A Pennsylvania grand jury report on clergy sexual abuse faults Cardinal Donald Wuerl, the former longtime bishop of Pittsburgh, over his handling of abusive priests. 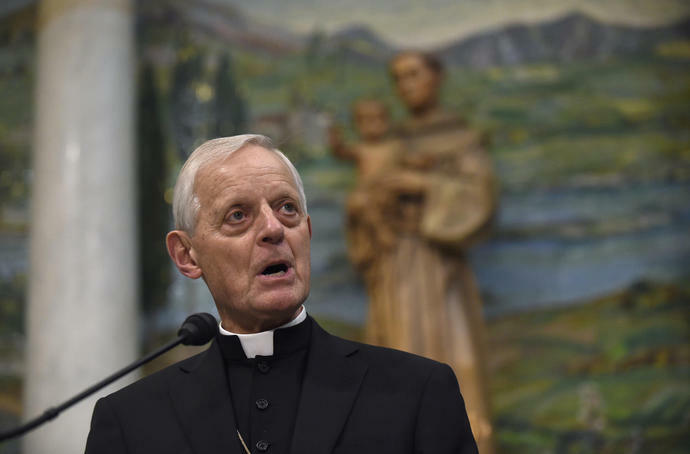 The report says Wuerl approved transfers for priests instead of removing them from ministry, oversaw inadequate church investigations and concealed information when priests were reported to law enforcement. The report also says he advised parishes not to publicly announce or acknowledge complaints, and offered financial support to priests who were accused and later resigned. Wuerl, who leads the Washington archdiocese and is one of the highest-profile cardinals in the United States, disputes some of the allegations in the report. He says in a statement Tuesday that he "acted with diligence, with concern for the victims and to prevent future acts of abuse." It also accuses church leaders of taking steps to cover up the abuse. The report emerged from one of the nation's most exhaustive investigations of clergy sexual abuse. The grand jury scrutinized abuse allegations in dioceses that minister to more than half the state's 3.2 million Catholics. Cardinal Donald Wuerl, the former longtime bishop of Pittsburgh who now leads the Washington archdiocese, said ahead of the report's release that he expected to be criticized in it. Cardinal Donald Wuerl, the archbishop of Washington, is defending himself ahead of a forthcoming grand jury report investigating child sexual abuse in six of Pennsylvania's Roman Catholic dioceses. Wuerl wrote to priests late Monday, ahead of Tuesday's release of the report. He says he acted diligently to protect children while bishop of Pittsburgh for 18 years through 2006. Time is ticking down to decide what information to black out in a forthcoming grand jury report investigating child sexual abuse in six of Pennsylvania's Roman Catholic dioceses. Some clergy members named in the document say they're wrongfully accused and are fighting to challenge the allegations against them. The high court says it'll consider their claims in September, but in the meantime ordered the report released with the identities of those clergy members concealed.